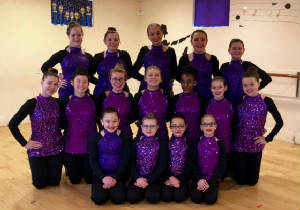 The competitive side of our program requires a yearly audition which is held in September. 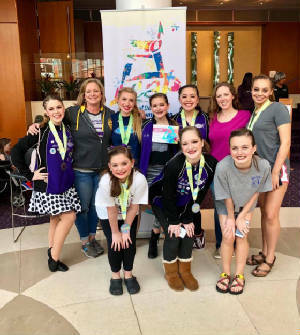 We attended two dance competitions in Farmville and in Virgina Beach. 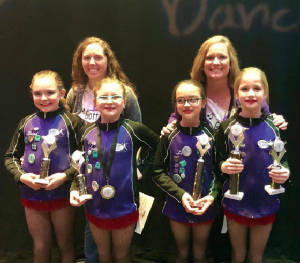 Our dancers were awarded High Elite, Elite, 4 1/2 and 5 Star ratings and they received many overall awards. Two of our groups also received Judges Awards for "Creative Concept" and "Style and Rhythm". 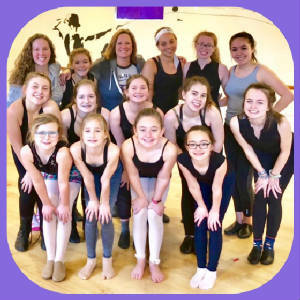 In addition to taking ballet, tap, theatre jazz and modern, these dancers rehearse on a weekly basis under the direction of directors and choreographers Tara R. Peyton-Burgess and Rachel Vaughan Estes. Guest choreographers this year were Haleigh Brown, Sara Burks and Christine Wyatt. We are most impressed with the camaraderie within our group. We would also like to thank our wonderful parents for their support! The performance side of our program does not require auditions. We have performed at Community Fairs, the Prince George Tree Lighting Ceremony and the Prince George County Christmas Parade. 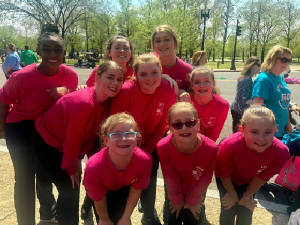 A highlight for our group was performing with over 530 dancers from 5 states in the National Cherry Blossom Festival in Washington, DC. This side of our program is a GREAT OPPORTUNITY to gain additional training and performance opportunities without the full-time commitment of competing. 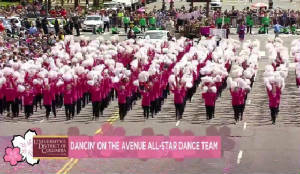 ALL DANCERS can be a part of our PERFORMANCE COMPANY!!! Requirements are to register for our June Ballet and Modern Intensive, to take 3 weekly classes (one being ballet) during our Jumpin' in July program and to register for ballet, tap, theatre jazz and modern for our 2019/20 season. Auitions for the competitive side of this program will be held in September.